Notes or issues that don't correspond to a particular release you'd like people to know about. Aim: to understand user perception on FX in general over time. Findings may not only aim to inform the design, but alsoSUMO. We will also follow up a similar survey in a month to understand the change of user perception. We're seeing even more cases of Flash video not working or crashing (20+). A number of these appear to be bug 575326 which is Nvidia drivers incompatible with Flash 10.1 with hardware acceleration. Lastly, with two updates in the past week, we're seeing more of the usual update breakages or problems on other sites being attributed to updates : McAfee blocking Firefox ( bug 582360 ), Zynga's Poker Facebook game not working, other Facebook issues (see bug 581123, since resolved) . Please add any questions or concerns you would like discussed at today's meeting. 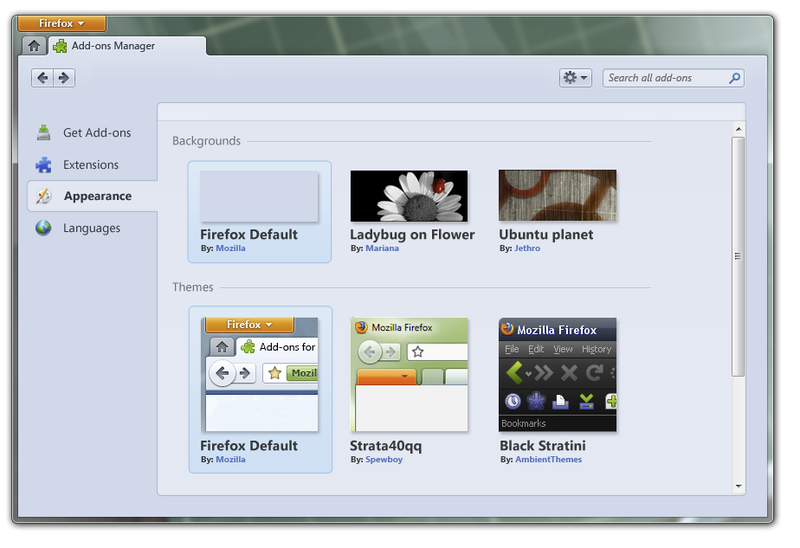 New Firefox 4 beta debuts "App Tabs"
This page was last modified on 28 July 2010, at 18:34.